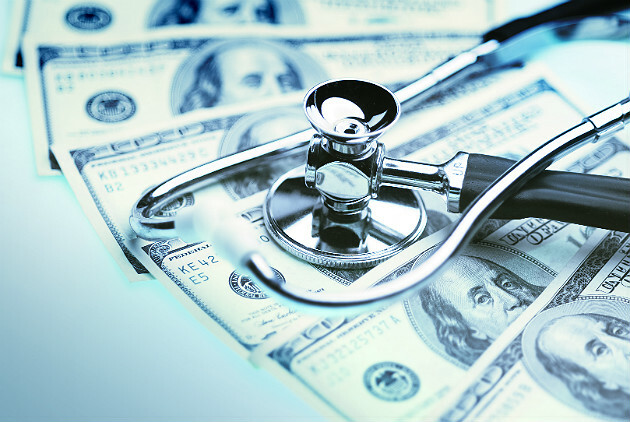 The Office of the Actuary at the Centers for Medicare and Medicaid Services (CMS) recently released new estimates from its analysis of American health spending in the coming decade. After five consecutive years of low growth rates, we can expect health spending rates to increase by 5.6 percent for 2014 and an average of 6 percent in the years 2015-23. Traditionally, healthcare spending tracks with economic growth, but the aging baby boomers and increased insurance coverage from the Affordable Care Act (ACA) are also expected to contribute to growth, which will result in the health share of GDP rising to nearly one-fifth of the nation's economy by 2023. The growth in 2014 is being influenced by an expected decrease in uninsured Americans due to Medicaid and Marketplace insurance options and more generous private-coverage options for those previously uninsured. The result will be an increase in Medicaid spending by approximately 12.8 percent and 6.8 percent for private insurance. Out-of-pocket spending will account for a decrease of 0.2 percent. In 2015, growth is expected to slow a bit to 4.9 percent in part due to the planned payment reductions in Medicare Advantage Plans and expiration of increases in Medicaid provider payments to primary care physicians. Projected increases in growth for disposable personal income are expected to increase demand for health services and goods, as well as lead to increasing insurance coverage and private health insurance spending. Medicare expenditure growth is expected to peak at 7.9 percent in 2020 due to continued enrollment by the aging baby boomers and faster per-beneficiary spending growth as they age. Private health insurance premium growth is projected to be 5.4 percent per year for 2016-23, faster than the 3.2 percent annual growth for 2009-13. By 2023, health expenditures financed by governments (federal, state, local) will account for approximately 48 percent of national spending, up from 44 percent in 2012. While it seems there may be some relief in the not-to-distant future, there are also a couple of wild cards that could impact these projections. The first is the Social Security Administration's anticipation that Disability Insurance Trust Funds will be exhausted by 2016. New policies defining disabilities, tax increases or funding shifts could cool some of the anticipated growth. In addition, the faster economic growth anticipated isn't at a rate that would significantly impact the huge national budget deficit. Therefore, efforts to implement a sustainable fiscal policy and reduce the deficit, such as cuts in spending and/or tax increases, could put a chill on even more of the anticipated growth. As we embark on a period of healthcare spending growth, effective healthcare leaders will keep the next generations in mind — those who will be left to pick up the building tab. Let's make wise choices and leverage this opportunity of economic growth for the sake of both young and old.